From the moment a blackberry is picked, a clock begins to tick. For its flavor is never better, brighter, or sweeter than when it is perfectly ripe. Prolonging that freshness—that fleeting peak taste and texture—is the single-minded mission of Sub-Zero. For over seven decades, our Madison, Wisconsin family-owned and -operated company has reimagined refrigeration with customizable units tested and built to last for over 20 years of daily use. All Sub-Zero refrigerators are built-in, or professionally installed for a precise, custom fit within surrounding cabinetry in your home. With both stainless steel and panel-ready finishes available, along with nearly limitless configurations, Sub-Zero offers true design flexibility to complement, anchor, or disappear completely into your décor. 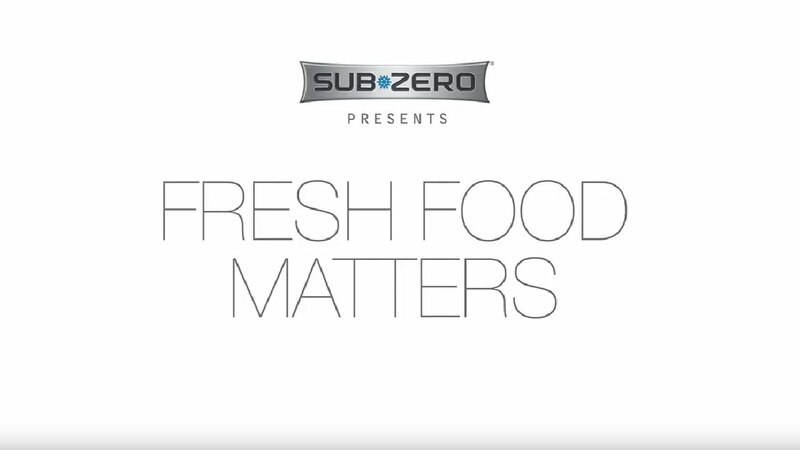 To view the complete line of Sub-Zero products, find design inspiration, and learn how Sub-Zero keeps food fresher longer, please request a brochure. From our culture to our economy, fresh food feeds us in countless ways. Meet the fresh thinkers who are inspiring better health, stronger communities, and more sustainable growing methods through the films and stories of Fresh Food Matters. Learn why we believe Fresh Food Matters.